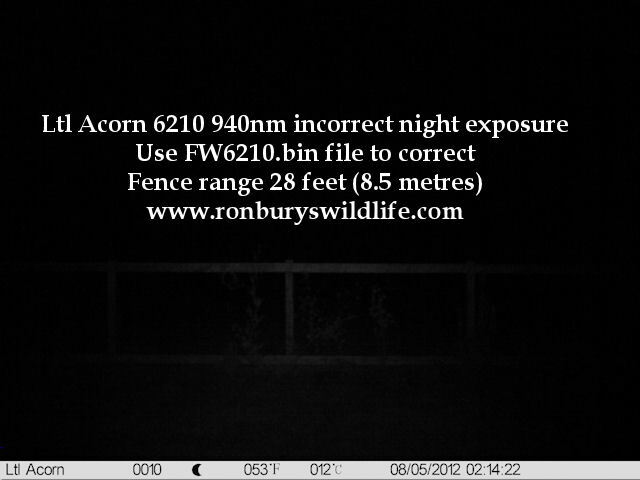 Ron Bury's Wildlife: Ltl Acorn 6210 Firmware Upgrade - Night time infra-red lighting and exposure. 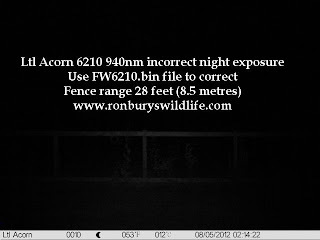 Ltl Acorn 6210 Firmware Upgrade - Night time infra-red lighting and exposure. 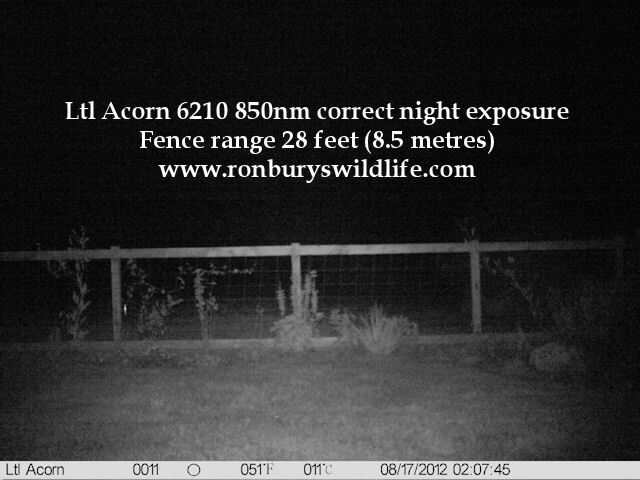 In older models of the 6210 940nm series trail cameras, the night time images and videos were just about workable but grainy. 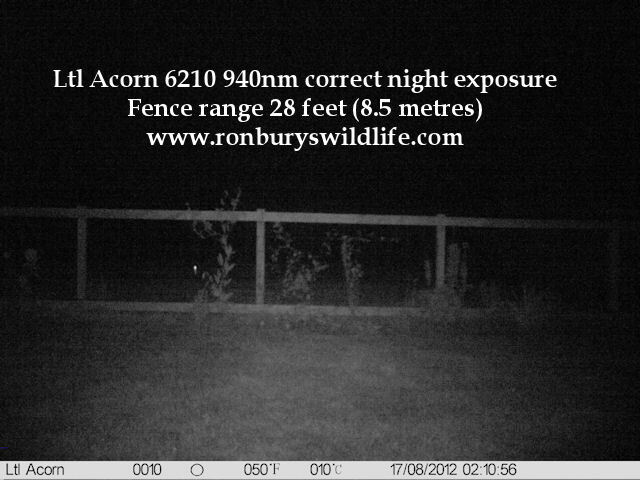 After a number of complaints Acorn published a new software version, V1.1.003T in the camera I tested. Unfortunately the correction overcooked and fig 1 shows a typical image. Happily there's now a firmware update FW6210.bin (software version V.1.1.006u) to correct this, which produces an acceptable result as shown in fig 2. 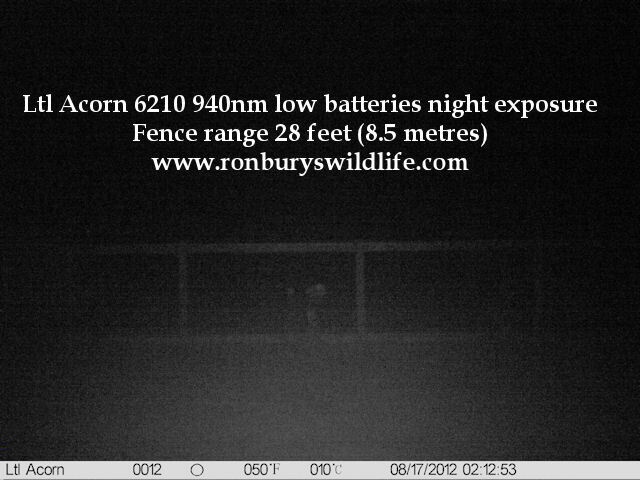 I've also compared this with an image (fig 3) from an 850nm camera. Compare with figure 2 above. Fig 4 shows how the image quality degrades when the battery voltage starts to fall below optimum. As I mentioned in my earlier post about firmware updates, bin files for updates all have the same name i.e. FW5210.bin or FW6210.bin and are easily muddled if you have more than one file. If you use one of these files in the wrong camera it will stop it from working, but I've recently discovered that by reprogramming the camera with the correct bin file, the camera will function again. To try and avoid any problems, I have not made these files downloadable; but will happily supply them individually by email, once I have verified which camera you have, and the problem you are hoping to correct. If you think you have the problem illustrated in this post, please send me an email request for the bin file, together with any details you feel are relevant. I will return the file as soon as possible. Can you please upload the latest firmware for the Acron 6210 camera? 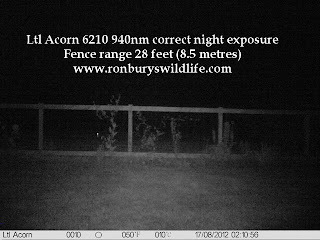 This is the one and only support site we have for Acorn cams. I have one upgrade file for the 6210 which is to improve night time illumination in some recent cameras, as detailed in the post above. but have not chosen to make this file available. The reason I don't make this file available to download is because a) I don't have access to the Acorn sendspace account and b)If this problem is corrected in later cameras it won't be necessary. If you think you need the correction file, email me using the info' on my about page, and once I've ascertained you actually need the file, I'll send it to you in an email. The reason I'm so careful about this is because using the wrong file in a camera may cause problems which can't be rectified easily. I just sent you an email requesting the latest firmware upgrade for the 6210M 940nm. Viewing a pic in IEif, it looks like i currently have software V 1.1003T. Hoping the upgraded software you list (V 1.1.006u) gets me to the quality of pics you list in article above. 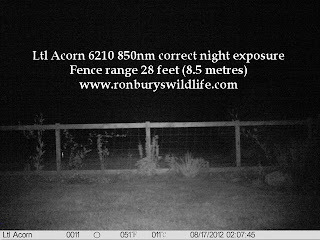 I received the bin update file for my acorn 6210mm to improve night time illumination, I loaded it on the camera in 30 seconds. I tried it out and the results is unbelievable i am very happy with the results. I would like to thank you for the rapid response, you have been very helpful. Glad I could help and I hope the camera gives you good service. Enjoyed the phone conversation yesterday and look forward to catching you on Skype. where can i get the newest software for this mentioned article that u wrote ? I see Pete has received his update.. from where ? Please give me a short reply Ron. You get it from me by sending an email request stating model and serial number; and where and when purchased. How do I find what firmware version is loaded in my 6210mm camera's. I am having a problem with one camera where I am getting black pictures at night. It appears the ir flash is not triggering when it takes a night picture. 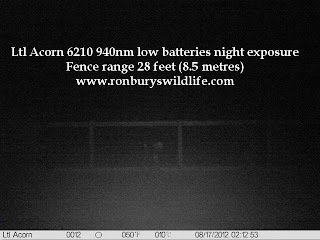 http://www.ronburyswildlife.com/2012/12/firmware-updates-upgrades-and-software.html which will answer your question. Have you tried taking a video at night to see if it's still the same?